A beautiful patio surface is the start to your outdoor living space, and an extension of your existing living space. Landscapes are made up of multiple items, plants, trees, hardscapes. Make use of the space you have and create your dream patio area. Patios can be much more than a square. Add some curves, use a multi piece paver, and color blends. Use the materials to create the atmosphere you want for your area. This will also give a little more texture to your landscape. Installing pathways and walkways to and from the patio area make a backyard safer, more convenient and aesthetically pleasing. Dreamscapes has been installing brick pavers for 30 years in Lincoln. Our patio projects range from small residential to Centennial Mall installation at the State Capital of Nebraska. Installing brick pavers truly is an art and we love what we do. 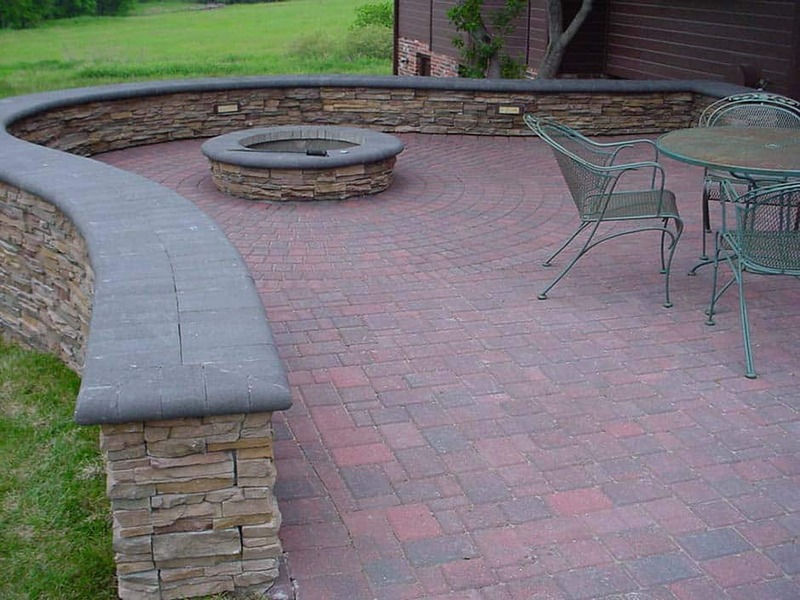 We would be happy to help you create your brick patio area. What types and colors of pavers are available for my project? There are many manufacturers of brick pavers, there are multi-pieced systems that come in tumbled and non-tumbled. Tumbled means the pavers are a bit rougher, the edges aren’t smooth whereas the non-tumbled have smooth faces and edges. There are many colors and blends available. What do you put in the cracks of the pavers? Outside edges of the patio are held in place with Pave Tech brick edging, and Polymeric sand is placed in the joints of the pavers. 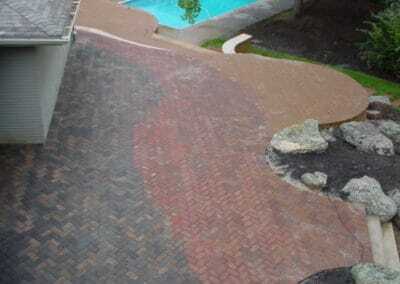 Polymeric sand is a fine sand combined with additives that when mixed with water form a binding agent. These binders lock the sand particles together, which helps lock all the pavers together. It improves durability and helps deter weeds.